Your grandmothers are thankful for all of the love and support you have shown them. In 2016 a total of 18 grandmother homes were built along with 25 kitchens and 25 latrines! It was also a very successful year for loan disbursement and recovery. The total loan amount in circulation right now is UGX 305,822,700 ($92,673 USD) and is distributed between 79 granny groups. In 2016, microloans worth UGX 265,000,000 ($80,303 USD) were disbursed to 62 granny groups and loans worth UGX 234,301,300 ($71,000 USD) were recovered by the end of 2016! 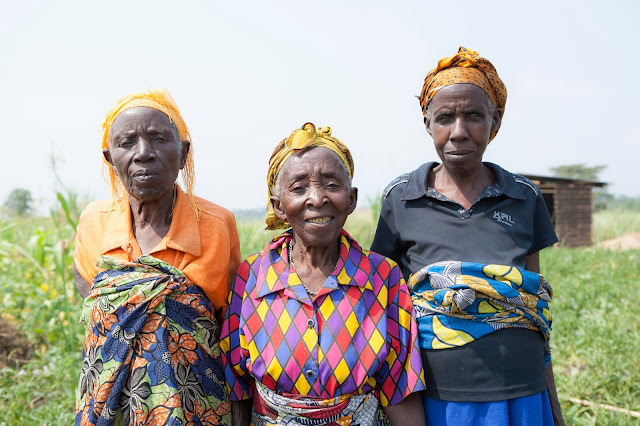 The grandmothers who receive microfinance loans are able to sustain their homes and even repay their loans quickly. In Rukungiri the Grandmother Project covers 4 sub counties in the district with 2,970 grannies in 36 groups. Your grandmothers and the children they are raising say “Mwebale Munonga” (thank you very much). We can’t wait to see what you make possible next!